The recent spike in the price of SiaCoin (SC) has apparently sparkled interest in users willing to buy some mining hashrate or to sell their hashrate, so now you are able to do just that on the NiceHash service. 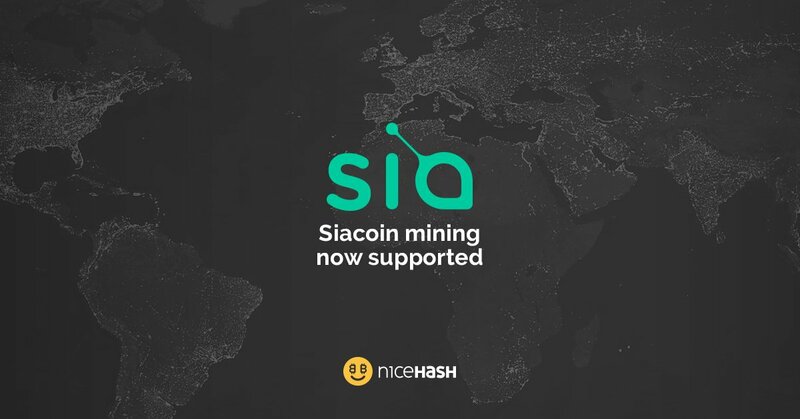 Do note that the stratum supported for SIA by NiceHash would require you to use a specific compatible miner and other SIA pool miners will most likely be incompatible for the moment. NiceHash has updated their excavator miner to support Sia stratum mining on their service (only on Nvidia CUDA for the moment), so if you want to try selling your SiaCoin mining hashrate on NiceHash you will have to use it. You can download the latest 64-bit Windows alpha release of excavator 1.2.2a (source) with support for SiaCoin in Nicehash. The equihash miner also supports the Equihash algorithm used by Zcash, Pascal and Decred for the moment on Nvidia. Do note that the excavator miner software does work on both OpenCL AMD GPUs as well as on Nvidia CUDA ones for the supported algorithms. Have in mind though that running the miner on AMD OpenCL GPUs however is a bit more specific than running it on Nvidia CUDA, currently only Equihash and Pascal algorithms work on AMD GPUs!